I'd been photographing the Window facing east on this morning at Big Bend National Park. While walking back to my car, I couldn't help buy notice how beautiful the sky was. 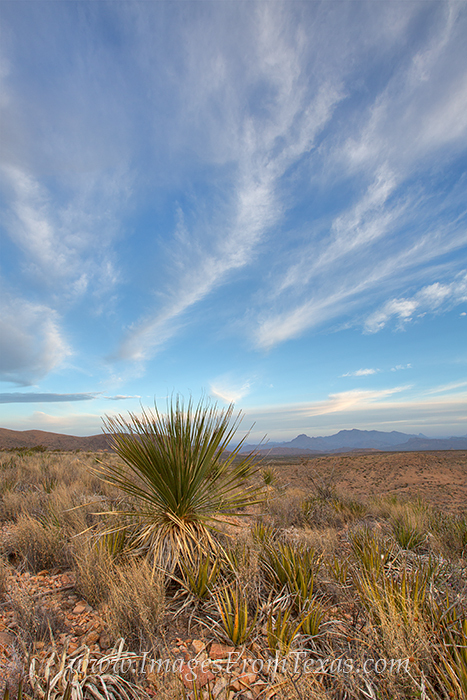 I found a yucca in the foreground to anchor the image and took several shots of this amazing Texas landscape. Photo © copyright by Rob Greebon.